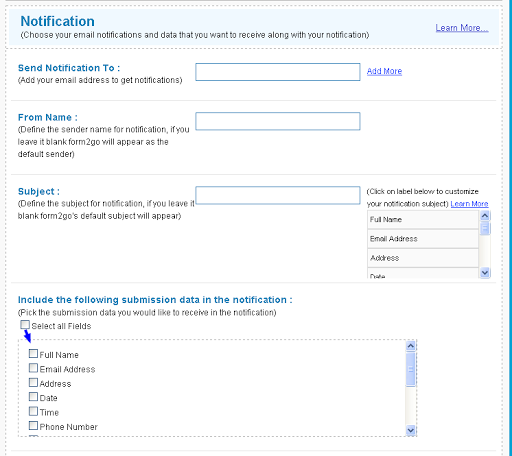 Notification settings help you decide on the email notifications you would like to receive and the data submitted with each notification. 2) Go to Form Builder. 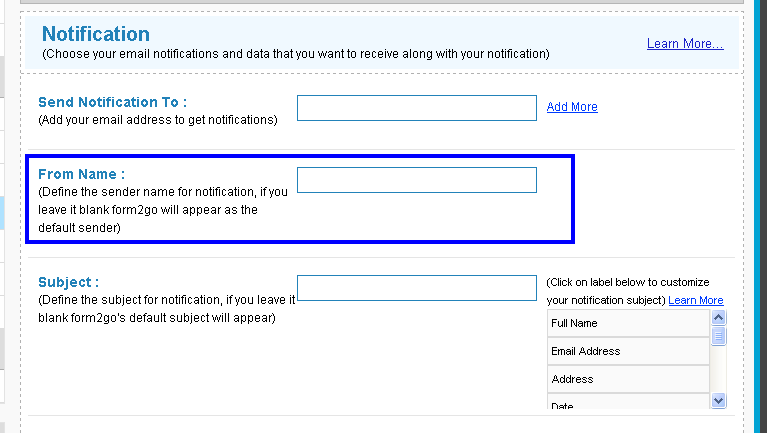 3) Click on Notification in the Additional Form Settings. 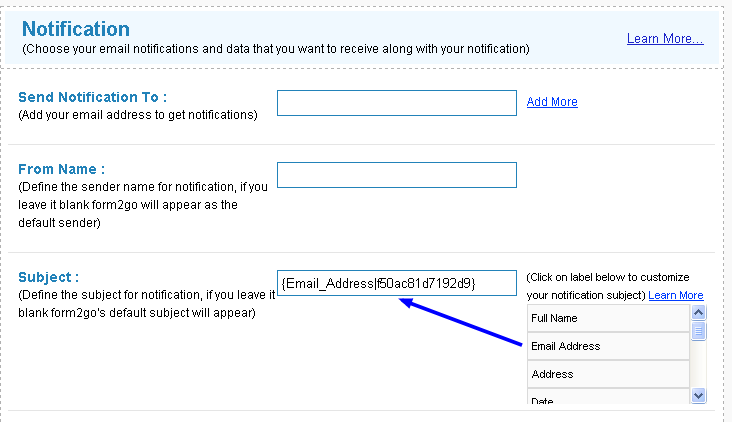 4) Send Notification to : Enter the email address where you want the notifications sent to. 5) You can add multiple emails but clicking on Add button next to email field. 6) From Name: Enter the Sender Name in the From section, this name will appear in your email notification as a sender name. 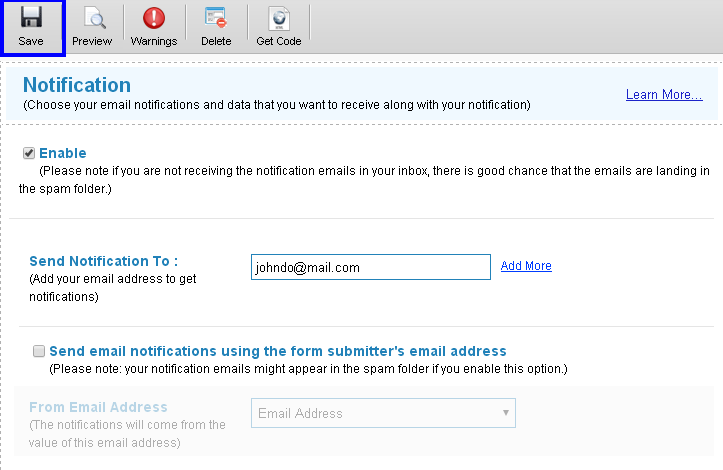 If left empty, the sender name in email notification will be set as Form2go by default. 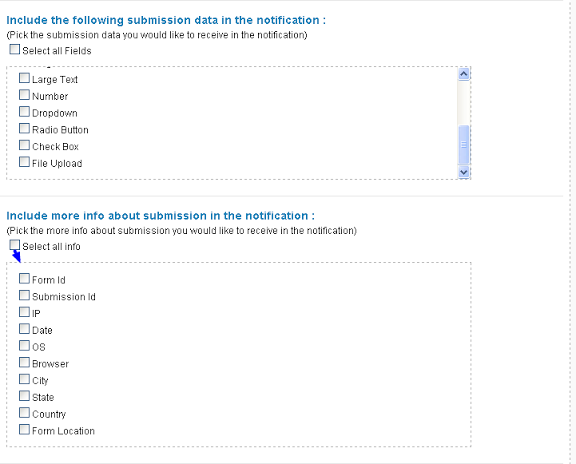 8) Include the following submission data in the notification : Check on the data fields you would like to receive in the notification. Here you'll see all the fields created by you in your form. If you select all the fields that you'll get all field information with notification, if you specify the fields, than you'll get only specific data in your notification. 9) Include more info about submission int the notification. 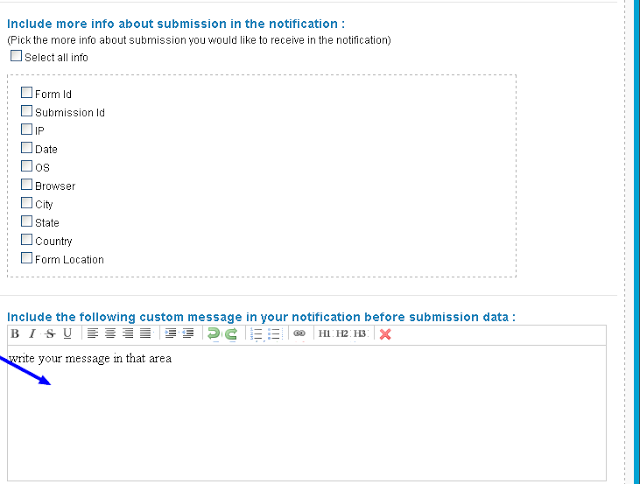 10) Include the following custom message in your notification before submission data : Enter a custom message to be viewed with the notification mail. This message will appear before the entries in notification. 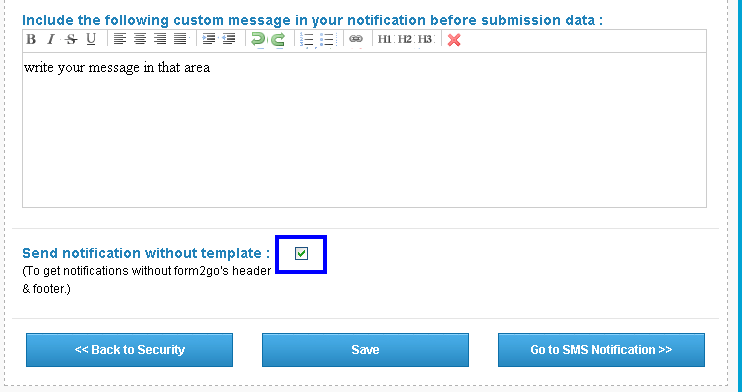 11) To send notification without form2go header & footer check this in your notification settings. 13) Click on Save to confirm the changes made to the settings.